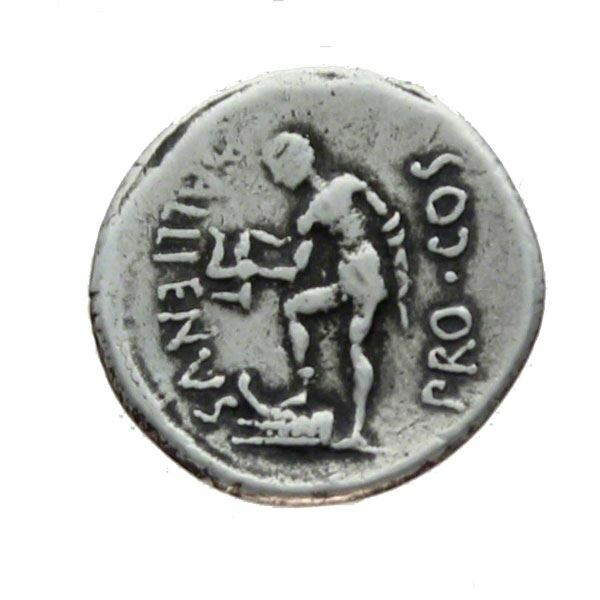 A. Allienus was a politician and general of ancient Rome. He was a friend of Cicero's, who spoke of him in high terms. He was the legate of Cicero's brother Quintus Tullius Cicero in the Roman province of Asia in 60 BC, and praetor in 49 BC. In the following year, he had the province of Sicilia, and sent to Julius Caesar, who was then in the province of Africa, a large body of troops. He continued in Sicilia until 47 BC, and received the title of proconsul. He may be identical to the general sent by the Publius Cornelius Dolabella to bring to him the legions which were in the Roman province of Egypt. On his return from Egypt with four legions, this Allienus was surprised by Cassius Longinus in Palestine, who was at the head of eight legions. As he was outnumbered, he joined Cassius.